On January 1st, 1993 all member states of the European Union (EU), including the United Kingdom, opened their borders by creating the Common Market. A trade bloc combining customs union and free trade zone, defining the same tariffs when trading with third countries to avoid internal competition, eliminating border tariffs among them and allowing the free movement of people, capital, services and freedom of establishment of companies. 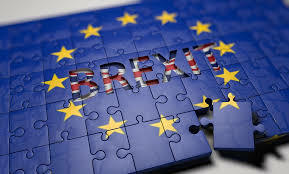 The United Kingdom’s membership of the European Union had been a controversial issue since the country joined the European Economic Community in 1973, with recurrent debates on the departure of the United Kingdom from the European Union ever since. One of the arguments of Brexit supporters is that being a member state undermines British sovereignty, so Brexit will allow greater control of immigration, a better British position to negotiate trade agreements and liberation of regulation and community bureaucracy. On the other hand, those who bet on remaining a member of the EU, argue that any loss of sovereignty in a world with several levels of supranational organization was offset by the benefits of belonging to the EU; and warned of the risks to the British economic prosperity of a hypothetical exit from the increase of the trade barriers with the states of the EU. This referendum gave rise to the initiation of the voluntary withdrawal of the United Kingdom from the European Union, as provided for in Article 50 of the Treaty on European Union. “A Member State may, in accordance with its constitutional requirements, withdraw from the Union”. In order to implement this legal mechanism, last Wednesday 29th of March, Teresa May, formally notified the European Council of this intention, by signing and handing over the letter that formally marks the start of the UK’s departure from the European Union. Brexit has therefore moved a step closer, with negotiations set to begin shortly. A two-year period in which they will carry out negotiations to determine the aspects and details of this withdrawal and the signing of an Agreement setting out the conditions for withdrawal, taking into account the framework of their future relations with the Union. The Brexit will have important consequences that will affect the commercial relations between both territories. The United Kingdom will cease to be a member state to become a third country with all that implies from an economic, customs and commercial point of view. Does this mean that if the separation takes place, tariffs and other measures will be established for trade between the European Union and the United Kingdom? The United Kingdom should work and allocate resources to the creation of its own customs legislation to adapt its systems. There is much speculation about the future and how finely they will adopt these relationships. There are several scenarios that could arise in establishing these relations between the Union and the United Kingdom. Depending on how they negotiate the exit and the secession agreement we could foresee, mainly, four scenarios. • That the UK adopts the third country model without a preferential trade agreement with the EU, in which case it would not have to comply with Community legislation. Trade would be subject to the EU’s external tariff and the WTO and GATT clauses. This would be the less desirable scenario by supposing the imposition of tariffs on trade between the two territories which would hinder trade relations. free movement of goods for goods wholly produced or released for free circulation from third countries. • The United Kingdom to form the European Free Trade Association (EFTA or EFTA), such as Switzerland, Iceland Lietchestein or Norway. Accession to this Agreement would keep it within the common market but not subject to the Brussels regulations. This implies free trade without tariffs. So far, it’s all speculation and we’ll have to wait some time to figure out how the negotiations will go. Until then, the reality is that Brexit is generating a certain uncertainty that affects the forecast that in the medium or long term companies can carry out their business and commercial traffic and that depending on the model that is finally adopted should design their customs strategy that allows them to adapt to Brexit.